Technology is making impossible things to be possible. Gadgets which we see in Sci-fi movie are first designed as concept designs and later with creativity and innovation they are moulded to real time master piece. Alexander Graham Bell would have imagined today's smart phone as future technology in his times. Now his time past and we are enjoying the future technology smartphones. Our next generations will be lucky if we see the concept designs which are available in the Internet. There are vast advanced technology gadget designs which are under development. 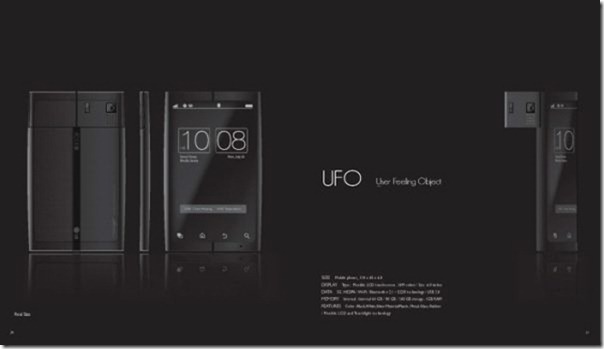 UFO-User is the concept design of future smart phones. We use many gadgets for various purpose in our daily life.This smart phone is designed to address each and every functionality of the n number of gadgets in single device. With advanced LCD and light touch technology, apart from smart phone feature, this device allows user to display wide screen on wall for various purpose. Depending on requirement, the projection can be used for various purpose to display keyboard and screen, to display movie on a wall , to check emails, to chat access social networks and much more. 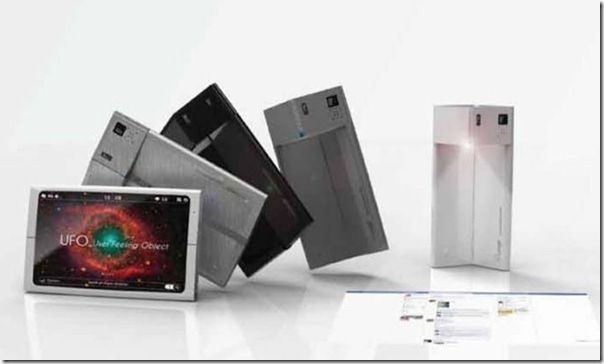 If this concept design becomes real,it will surely replace tablets,laptops and TV's.